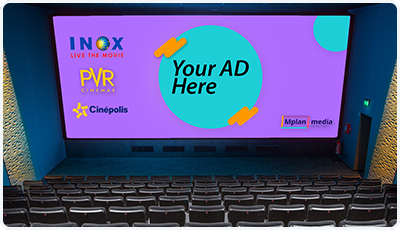 Get the best rates for multiplex advertising at Mplan media, located in Mumbai. We have tie – ups with the industries popular cinema chains like cinepolis, PVR, INOX and other single chains covering the entire city of Mumbai. It helps brands to increase sales and visibility in a unique way. Or call us at 9916897609 to get a free consultation for your multiplex campaign.